Happy Friday! What are your plans for the weekend? I finally finished painting my office, and now I’m planning to repaint and DIY-ify the bookshelf in there. We are also going to do some work on the garden, of course, and belatedly celebrate my birthday! My birthday was last weekend, but I was out of town so Nick and I never really go to do anything. I went to my first ever blog conference, Build Your Blog 2015. It was fun! I don’t think I learned quite as much as I was hoping to, but it was still a great experience and I came home with a rather lengthy to-do list of things to work on. There’s a lot I’m not doing that I probably should be! I think if I go to another conference, I’ll try one aimed specifically at food bloggers. BYB was for all different kinds of bloggers, and while some parts of it were helpful, others were not really relevant. The highlight of the conference was meeting two of my blog friends, Gayle from Pumpkin ‘N Spice and Annie from Maebells. 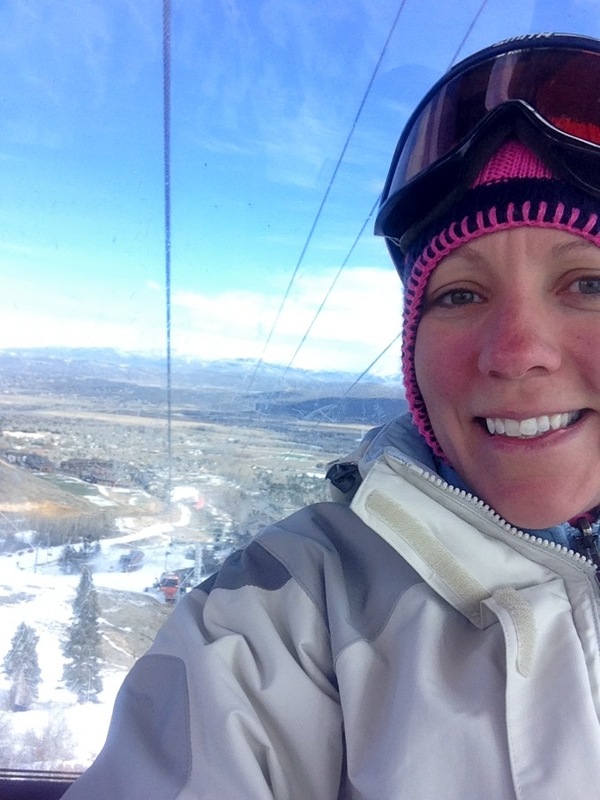 And since the conference was only Friday and Saturday, I got to spend my birthday skiing. Not a bad deal! I had a lot of cooking to catch up on this week when I got home. Breakfast was the first order of business. Along with a Quinoa Frittata, I made another batch of coconut flour muffins, this time Banana Nut. I’m so loving coconut flour. These maybe aren’t the prettiest muffins ever. But they’re super delicious. I’ll be making another batch just as soon as my new batch of bananas ripens, and I may try adding chocolate chips along with the walnuts. Because who doesn’t love chocolate? Preheat oven to 400 degrees. Spray a 6-cup muffin tin with nonstick spray. Using a stand or hand mixer, beat eggs, coconut oil, bananas, milk, sugar and vanilla until smooth. In a medium bowl, whisk together coconut flour, baking powder, cinnamon, nutmeg and salt. Add half the dry ingredients to the wet and beat until combined. Add the remaining dry ingredients and beat until everything is well incorporated. Divide the batter evenly between 6 muffin cups. Bake 18-20 minutes, until tops are golden and a toothpick inserted comes out clean. Cool for a few minutes in the pan, then transfer to a wire rack. This recipe is grain-free. It can be made gluten-free. If you are baking gluten-free, make sure all your ingredients (such as baking powder) are gluten-free varieties. Skiing sounds like a great birthday day! And it is always good when you can extend the celebrations in my mind. Enjoy round two! 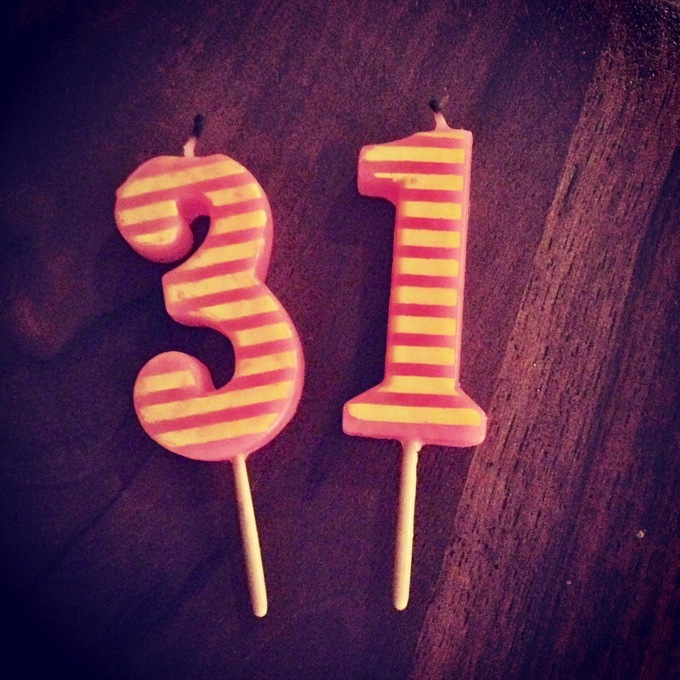 Happy belated 31st! And it would’ve been so nice to see you ladies at the conference. I’m definitely going to try getting to one later this year! 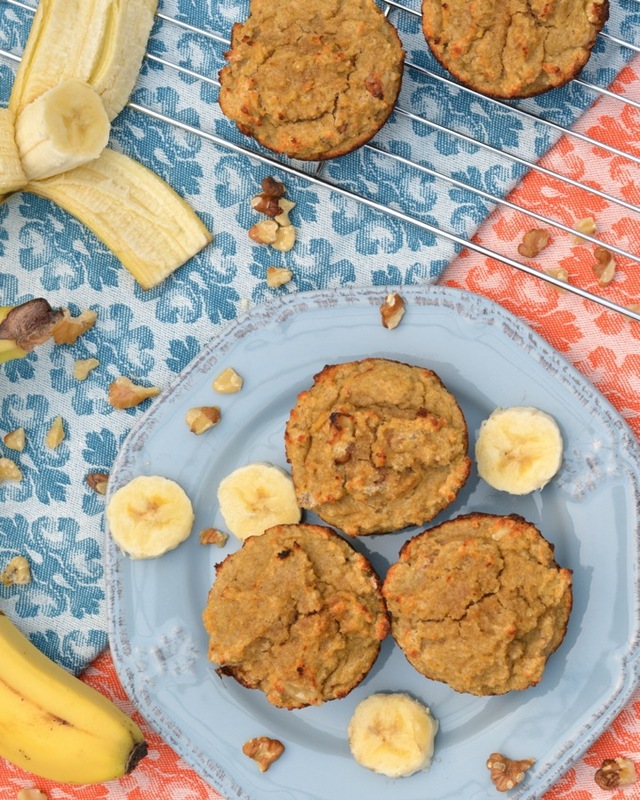 These muffins sound so delicious, too — I need to bake with coconut flour more! So glad you went to BYBC! 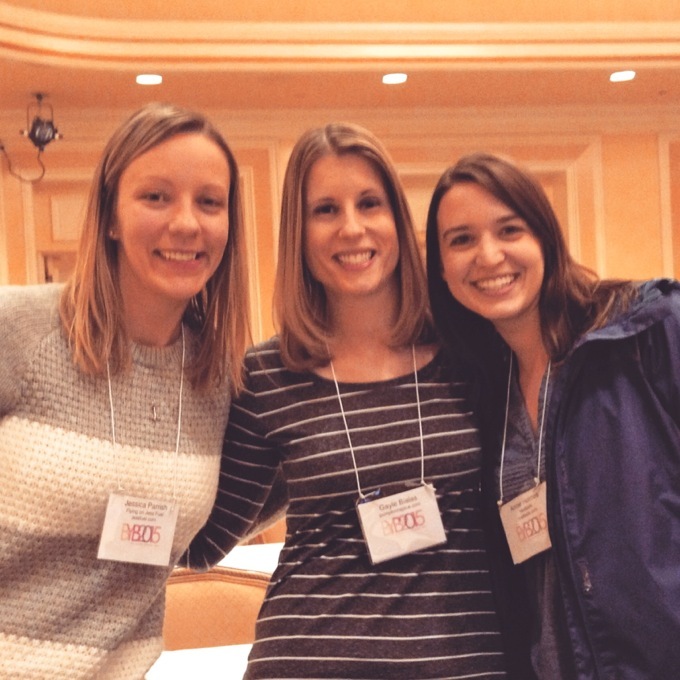 How fun to meet other bloggers! And, happy birthday! p.s. I have never used coconut flour! But it definitely sounds good! Thanks, Kristi! It’s a really fun ingredient to experiment with! I wish I would’ve known it was your birthday last Sunday, Jess! We couldn’t celebrated with a birthday drink! 🙂 I’m glad you got to go skiing! And these muffins look delicious! I’ve never used coconut flour before, but now I’m eager to try it out! Oh no!! Yeah, coconut flour definitely needs TONS of eggs to hold it together! But once you get it right, it’s awesome! I’m hooooooping that someday there will be a fun conference in San Fran or somewhere up that way and maybe a few of us can meet up!! Happy Birthday, hope you had a great time. I’m loving that picture of you three! Happy belated birthday, Jess! Yay, so fun that you got to go meet Annie and Gayle at the conference too! 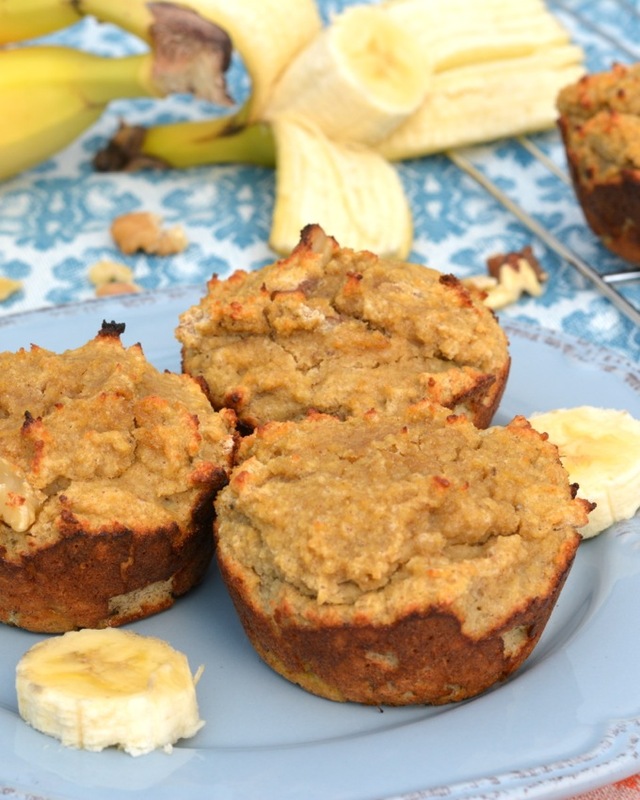 I love coconut flour and they sound wonderful in these banana nut muffins! Thanks!! It was really neat meeting them!! Hopefully some day we’ll ALL run into each other! Happy belated birthday! It looks like 31 is off to a good start!